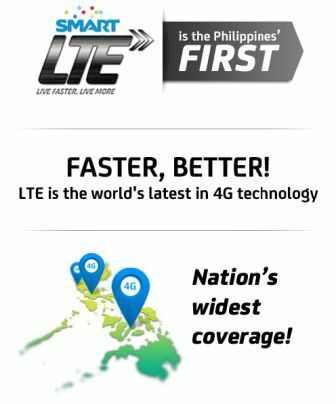 As Smart now offers LTE for both prepaid and postpaid subscribers, you can now say goodbye to your old slow mobile and broadband internet connection. With up to 40Mbps download speed, you can do downloading, streaming, surfing, upload photos and more as long as you’re within Smart’s LTE coverage. To try LTE with Smart, check our previous post on Smart Prepaid and Postpaid LTE Promo. Once you’re registered, double check your phone APN settings to make sure you’re connecting to LTE wireless network of Smart. You can check or do a manual setup below, by the way it’s connected it APN ‘internet’ by default. Check your current Smart Internet settings or use this APN details for you phone, configuration below should work on any mobile device. For LTE Broadband and Pocket WiFi users you may use this below settings. Make sure that your area is covered and listed at Smart LTE Coverage. That’s it guys, hope it helps. Last tip, some users reported about changing ‘internet’ APN to gain faster internet speed. You also follow step by step guide to your phone settings using Smart user help and support page.